I. President Obama's incredible remarks at last week's Prayer Breakfast reveal much Biblical, religious and historial ignorance. They also reveal a powerful pro-Islamic political agenda. II. Some news reports are shouting that a nuclear explosion has detonated in Ukraine! III. The credibility of Mass Media journalists and anchors is on full display in the form of Brian Williams' false story about coming under attack in a helicopter in the opening hours of the Iraq invasion (March, 2003). 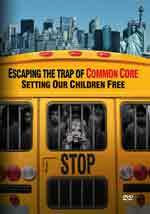 DVD - "Escaping The Trap of Common Core: Setting Our Children Free"
I. President Obama's incredible remarks at last week's Prayer Breakfast reveal much Biblical, religious, and historial ignorance. "The White House on Friday defended President Obama's remarks at the National Prayer Breakfast after he was widely lambasted by conservatives for bringing up acts done in Christianity's name amid a discussion of modern-day terrorist threats." Since his remarks have caused such furor, what, exactly did our Liberal Democrat President say?
" 'Lest we get on our high horse and think this is unique to some other place, remember that during the Crusades and the Inquisition, people committed terrible deeds in the name of Christ', Obama said. 'In our home country, slavery and Jim Crow all too often was justified in the name of Christ'." Any Fundamental, Bible-believing Christian will immediately jump up in protest over these remarks. Consider some truth applied to this remark. 1) Genuine Christianity is not historically responsible for the murderous Crusades! The brand of christianity carried out in the Crusades was Roman Catholicism! 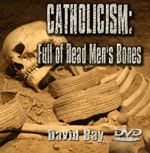 As we prove in our DVD combo, shown above, Roman Catholicism is christiantiy in name only. 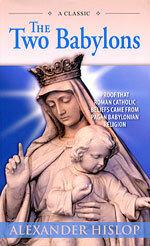 In fact, we demonstrate that Catholicism is really rank Satanism all dressed up in Biblical names and doctrines. In verse 11, God foretells that the False Prophet, a counterfeit Christian, is coming out of the "earth". Since the "earth" in Biblical prophecy almost always refers to Israel, we can assume that the False Prophet must be of a faith which has arisen out of Israel. The second sentence of verse 11 depicts the False Prophet as a counterfeit Christian, i.e., "... he had two horns like a lamb, and he spake as a dragon." Of course, the "two horns like a lamb" refers to Jesus Christ, the "Lamb which taketh away the sins of the world". But, the heart of the False Prophet is Satanic to the core ["he spake as a dragon"]. One of the most grevious errors that people make is that they do not understand the difference between Roman Catholicism and genuine Christianity. Modern Babylon (Rev. 17:5) is the Roman Catholic Church. many Roman Catholic teachings did not originate with Christ or the Bible, but were adopted from ancient pagan [Satanic] Babylonian religion, and given Christian names. This book- "The Two Babylons" -- accurately provides a fascinating historical in-depth examination of the shocking similarities between the practices of ancient Babylonian religion and those of today's Roman Catholic church. 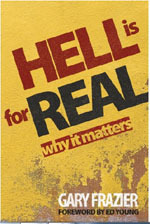 Hislop is crucial reading for anyone hoping to understand the Satanic beginnings of so many of the Roman Catholic doctrines and practices. You will understand the true meaning of Paul's warning that just a "little leaven" [false doctrine] ruins the whole lump of dough. You will see that the Catholic Church does not have just a "little leaven", but whole truck loads of it! The only way to understand why Rome brought in truckloads of pagan doctrine, practices and dress is to realize that the Vatican is practicing Witchcraft! There is no difference whatsoever between a priest standing in front of a Catholic altar reciting a rote Mass and a witch standing before the coven altar reciting a rote ritual. The power of Satan flows in both situations. 2) If a Christian resorts to the sword in murdering his opponents, he is violating the clear teachings of his Master, Jesus Christ. Jesus knows that the Holy Spirit will lovingly lead people to Him and to His Gospel. But, the followers of Islam have always believed -- and practiced -- "conversion by the sword"! In the past 1,400 years, Islam has slaughtered followers of Christianity, just as they are murdering Christians today. The murder of Christians in the Middle East and Northern Africa was so complete that the population became almost exclusively Muslim. President Obama has proven himself to not understand the difference between counterfeit Catholic Christianity and genuine Christianity. He also defends Islam by trying the old President Bush trick of saying that the vast majority of Muslims are peaceful and only a small minority are radical killers. "Fahad Qureshi, who founded Islam Net and is considered an Islamic leader in Norway, told a large group of Sunni Muslims that, contrary to media claims that it is only 'radicals' and 'extremists' who support barbaric punishments for those who violate sharia, regular Muslims support such things ... the points raised about punishment under Islam were held by Muslims in general and not just 'radical extremists' ... "
There really is no distinction between "radical" and "moderate" Muslims. When a person touts Islam as a "religion of peace", he does not inform you that the "peace" of Islam is the 'peace of the grave' for all who refuse to worship the Prophet! "A video reportedly shows a nuclear weapon detonating in Ukraine amid the ongoing fighting in the country. The video, which was shot on a cell phone, shows a mushroom cloud emerging from the explosion and the resulting shockwave. The footage is seemingly consistent with a smaller tactical nuke designed for use on a battlefield in a military situation, as opposed to much larger strategic nukes used to level cities." This news article did not mention whether any satellites or ground-based sensors had detected radiation, which would have proven that this explosion was nuclear beyond a shadow of a doubt. However, this next news article flatly denies that the explosion was a nuclear device of any kind. "On Sunday night, a series of YouTube videos appear to show a large explosion in Donetsk, Ukraine ... However, it likely wasn’t a 'tactical nuclear weapon', as some social media users claimed, but just a big blast. Early reports say it was Ukrainian army artillery fire hitting an ammunition depot held by the rebel Donetsk People’s Republic." Of course, if anyone used a nuclear weapon of any kind or size, they would risk a huge global nuclear war. 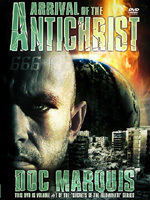 In fact, the Illuminati plans to stage their Masonic Christ (antichrist) following a global nuclear war. 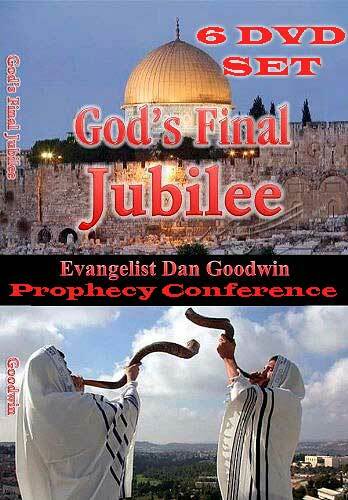 However, the prophetic time for a worldwide nuclear exchange is not here yet. "If an internal nuclear attack ever occurs in this country without a major failure of our satellite assets...perhaps we should rethink just who the enemy really is... America has the technical capability to stop any terrorist in his tracks if he ever dares try to sneak nuclear weapons into this country." 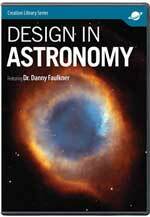 1) As stated, satellites can detect the location of every nuclear device on earth, in real time. Therefore, they can detect when any nuke begins to move. Any weapon that can be so precisely located at all times is really diminished as a threat. 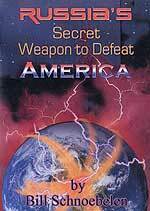 2) Scalar Weaponry is far superior to nuclear devices and render both warheads and missiles obsolete (See full details in the DVD, "Russia's Secret Weapon Designed To Defeat America - Scalar Weapons Revealed!" "Every night, people throughout the country sit down and have a glass of wine with Brian Williams. As a drinking buddy, he’s perfect – engaging and punctual. 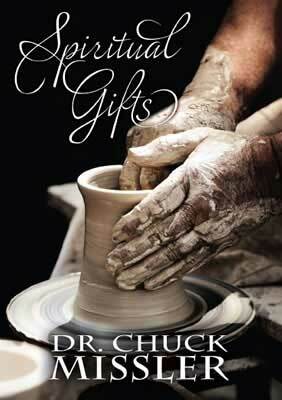 But now, after all these years, it appears Williams lacked one ingredient essential to his day job – trustworthiness." National networks have long known that many people do not believe what they are reporting because they believe the networks have a political agenda and skew the news in the particular direction in which they want it to go. Therefore, since the Vietnam War shredded the reputation of the major news networks, radio and TV stations continually runs ads which tout the "credibility" of the individual anchors. And now, Brian Williams thoroughly shreds that image! What did he say? 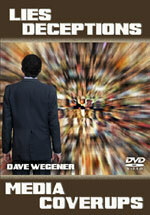 "The episode that shredded the newsman’s credibility is widely known. Williams, the suave, affable anchor for NBC’s 'Nightly News', claimed he had been in an U.S. military helicopter forced down by enemy fire in Iraq in 2003. The reality, as it turned out, was a bit less exciting. In an on-air apology last week, Williams said he was in fact on a different helicopter, following the one targeted by a rocket-propelled grenade. The newsman said he made a 'mistake' and 'conflated' the two." In other words, Brian Williams lied, on numerous occasions, trying to make himself look like a hero taking enemy fire! NEWS2497 -- "10th Anniversary of the Iraqi War: At Last, Mass Media Is Admitting The War Was Launched On Lies And Is A Monumental Failure "
Our political and media leaders have been lying to us for years, as they desire to advance the prophetic New World Order without alerting the public as to what is really going on and why. 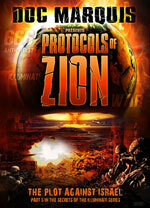 Consider some pertinent quotes from New World Order writing, "The Protocols of the Learned Elders of Zion". "Thanks to the Press we have got the gold in our hands, notwithstanding that we have had to gather it out of oceans of blood and tears. But it has paid us, though we have sacrificed many of our people."